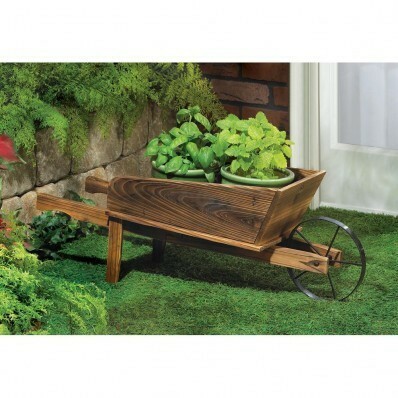 COUNTRY FLOWER CART PLANTER by Summerfield Terrace home decor, jewelry, decor, decorations, electronics, fountains, floor mats, art glass, vases, garden essentials, fireplace screens. Capture the charm of a farmers country market with this winsome miniature flower cart! Just arrange your greenery or colorful decorative accents inside and instantly add a wagon load of blooming color to your yard. Contents not included. Material(s): WOOD - FIR. Weight 4.3 pounds. Dimensions 33" x 9.75" x 11.2".